This is my first cozy mystery, and I loved it. This is a sequel, but everything was recapped and introduced so well, that I didn’t feel like I was missing anything. The characters were great. There were some very eccentric older characters, and quirky young characters. Many of them were stock characters, but it worked in this story. There was also a hint of romance, but it didn’t overpower the story. The mystery part of the story was so good. I really had no idea how it was going to end. The Halloween setting also increased the spooky atmosphere. The story kept me guessing till the end, which is what I think makes a good mystery. I had to laugh at how much of the town was pet-oriented. There were pet stores and petsitters galore in that town! That didn’t seem very realistic but it was entertaining to see the town that was so focused on animals. I loved this story! After reading this story, I would love to read another cozy mystery. 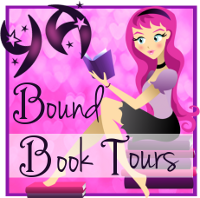 Thank you to Silver Dagger Book Tours for letting me participate in this blog tour. Love the petsitter storyline. Can’t wait to read.